(Natural News) The road to aging gracefully starts from your plate. Based on the findings of researchers from the U.S., reducing the number of calories you consume today could lead to the reduced risk of age-related diseases in the future and may help you live longer. 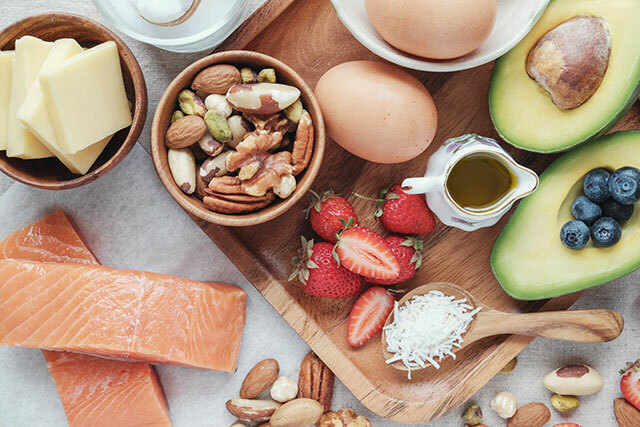 The paper, published in the journal Cell Metabolism, looked at the results of a two-year study that had participants cut back on their daily calories by at least 15 percent. According to researchers, reducing a person’s daily caloric intake led to positive health outcomes, as opposed to those who had a regular diet. They had a slower metabolism, an indication that their bodies were using energy efficiently, and reduced oxidative stress which can lead to cell damage. These two, in particular, are linked to a number of age-related diseases, most notably diabetes and cancer. In their study, they suggested a causal link between the two: Having a slow metabolism, for one, reduces the process of oxidative stress, which reduces overall cell and organ damage in the body. The researchers looked at how restricting calories can affect the body with the help of more than 50 healthy and non-obese men and women. The participants, whose ages ranged from 21 to 50, were randomly assigned to either a calorie-restricted group or to a control group where they could eat whatever they wanted. The team used a “metabolic chamber” to accurately measure how much calories were burned. After a two-year observation, the researchers discovered that those who restricted their calorie intake lost close to 20 lbs. (nine kg), compared to the control group which maintained their weight. In terms of calories, those under the calorie-restriction group had burned fewer calories per day and saw reduced markers of oxidative stress. Researchers also noted that the group did not experience any adverse side effect from their diet, including anemia, excessive bone loss, or menstrual disorders. They also reported improved mood and quality of life for the participants. “We found that even people who are already healthy and lean may benefit from a calorie restriction regimen,” according to Redman. According to Washington University in St. Louis professor Dr. Luigi Fontana, who isn’t part of the study, while the study builds on evidence supporting that a reduction in calories leads to a lower metabolic rate in humans, he points out that metabolic rate and oxidative stress aren’t the only factors at play. He also added that based on studies, changes in how cells sense nutrients may also play a role in longer life spans because of calorie restrictions. Still, he believes that most people, especially those in the U.S., can benefit from cutting back a little in terms of calories. Despite the limitations of the study, the researchers said that long-term studies in particular can better examine the effects of calorie restriction. In addition, these studies can also look at the effects of calorie restriction, in concert with the consumption of certain substances such as foods with antioxidants, or resveratrol (a compound found in red wine and other foods), that have similar effects with calorie restriction. Read more articles about disease prevention and natural ways to look and feel younger at Longevity.news today.